Find you are having problems with Herons sneaking in and stealing your fish. The Decoy Heron is the perfect deterrent. 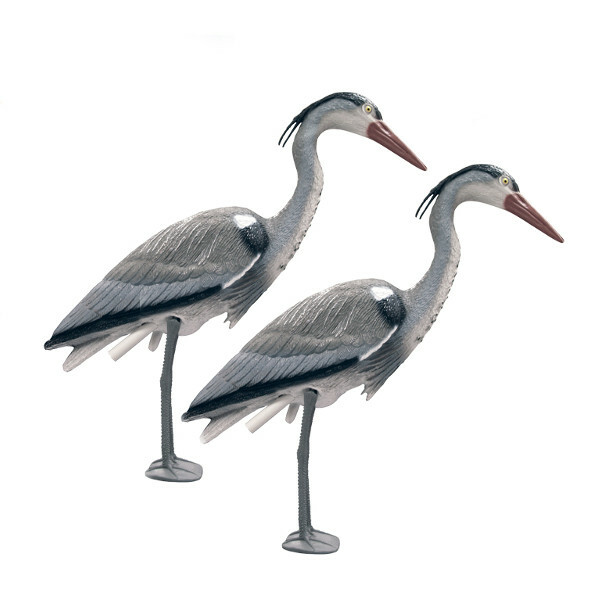 The Heron is a perfect life size decoy that can be placed around your pond or garden. Being so life like it will be sure to make Herons think twice before approaching your pond as Herons are solitary birds and tend not to encroach on others feeding territories. Believing the decoy to be real, the Heron will leave your pond alone. Has a ground fixing stake.